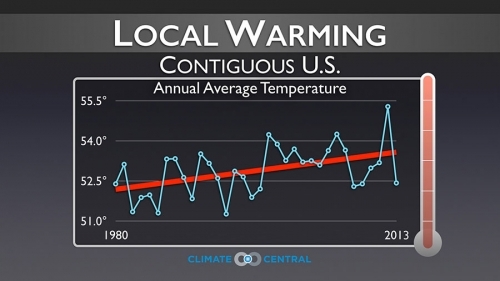 On Tuesday, the federal government released its third report of climate change in the U.S. The report, called the National Climate Assessment, makes clear that climate change is a present-day issue and a growing threat. While climate change is often viewed as a global problem, the report highlights how impacts vary across all regions of the country, and those impacts include heat waves, droughts, rising sea levels and an increase in heavy precipitation events. 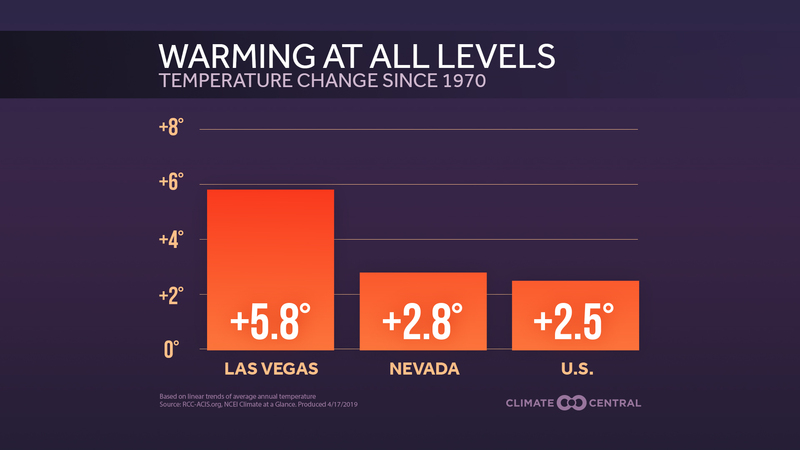 Since 1895, the average temperature of the U.S. has warmed by 1.5°F according to the new report, which was composed by 13 federal agencies and more than 300 scientists. More than 80 percent of the rise in temperatures has occurred since 1980 and the most recent decade has been the nation’s hottest since recordkeeping began. But warming hasn’t been uniform with large portions of the Southwest, Upper Midwest, Northeast, and Alaska warming more than average. Depending on the path global carbon emissions take, temperatures could rise anywhere from 3-10°F by the end of the century, though the lower level is based on dramatic emissions cuts that currently seem unlikely. “The big picture and what’s most important is that it lays out in clear, unmistakable terms that climate change is here now,” said Katherine Hayhoe, a climate scientist at Texas Tech University and one of the report’s lead authors. “We also know that the impacts of climate change are highly regional and even local. If you live in New York on the coast vs. 50 miles inland in New Jersey, you’re going to experience climate change differently because your vulnerabilities are different,” she said. Understanding those different regional vulnerabilities are key to planning on how to adapt to the current and future changes we can expect. Below is a roundup of some of the biggest challenges each region of the Lower 48 states face as detailed in the 30-chapter report. A view of downtown Manhattan. Sea level has risen nearly a foot in New York Harbor over the past century. The Northeast is home to 64 million people, with most of them living in a densely populated corridor from Boston to Washington, D.C. That urban core makes the region particularly vulnerable to widespread impacts from extreme events like flooding and heat. Boston, New York, Philadelphia, Baltimore, Washington, D.C., the five largest cities in the region, are all located on the coast. Tidal gauges near each of these cities have recorded sea level rise of 10-13 inches over the past century, which is higher than the global average of 8 inches. 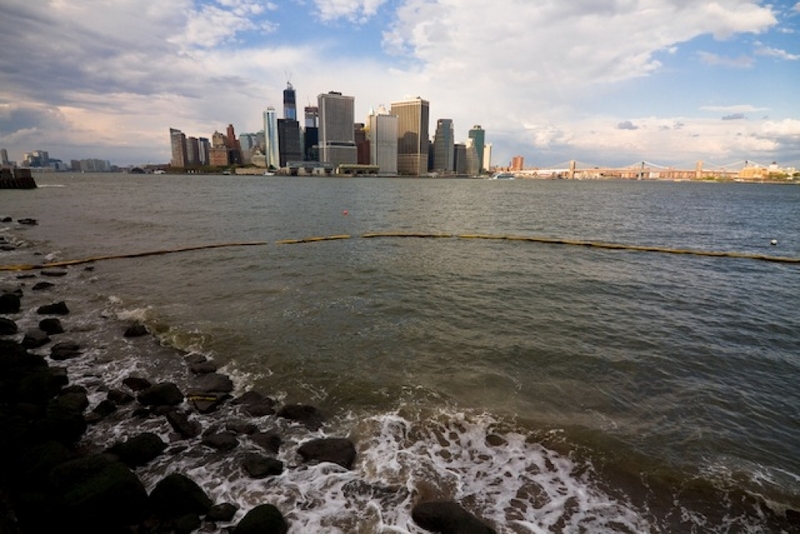 That rise has made the odds of coastal flooding in New York similar to Sandy 20 times greater according to a recent study. It also helped Sandy’s storm surge overtop barriers and cause $60-$80 billion in damage across the region. Future projections indicate sea level could rise another 4 feet by the end of the century as oceans continue to warm and glaciers and ice sheets melt. That would put billions of dollars of infrastructure at risk and put millions of people in harm’s way of coastal flooding. Built up cities contribute to the urban heat island effect, which will make them feel even hotter in a warming world. The urban heat island can increase temperatures by up to 10°F compared to surrounding areas with fewer buildings and paved surfaces. A large area from Philadelphia to Washington, D.C. could see the number of days above 95°F double by the 2050s under high emissions scenarios. That would pose a major public health threat, particularly to the elderly who are most vulnerable to extreme heat, while also increasing energy demands for air conditioning. The Southeast stretches from Florida to Louisiana. It holds the distinction of having the highest number of billion-dollar disasters of any region in the U.S. since 1981. That’s because hurricanes and tornadoes, both big drivers of economic losses, are common throughout the region. Population growth has also made more people and property increasingly vulnerable. While research hasn’t found a major connection between climate change and tornadoes, the strength and frequency of Category 4 and 5 hurricanes have both increased since the 1980s. Luckily, the Southeast and the U.S. has been spared from a major hurricane landfall since October 2005. However, the streak is more likely due to luck than any overarching climate factor, scientists say. The strongest hurricanes are projected to grow stronger in the future, though those projections are still being refined due the complexities of hurricane formation and growth. Like the Northeast, sea level rise is also a concern. The region is home to higher-than-average rates of sea level rise in large part due human activities and natural forces causing land to sink. The combination of hurricanes, sinking land and rising seas already cost Alabama, Mississippi, Louisiana, and Texas $14 billion annually according to the NCA. That number could rise to $23 billion by 2030 with just a 3 percent increase in hurricane wind speed and 6 inches of sea level rise. The Midwest is one of the fastest-warming regions of the country since 1970, particularly during the winter. That’s helped reduce energy needs in the winter while increasing them in the summer. Winter warming has also led to a 71 percent decline in Great Lake ice coverage from 1973-2010. However, summer warming will be a big concern by mid-century if greenhouse gas emissions continue to rise. Parts of the region could see 25 more days above 95°F while also seeing a longer growing season. And while a longer growing season would be a good thing, the NCA notes that extreme weather events are likely to have greater influence on future crop yields. The report cites early heat in spring 2012 followed by a cold snap that cost Michigan cherry growers $60 million in crop losses. 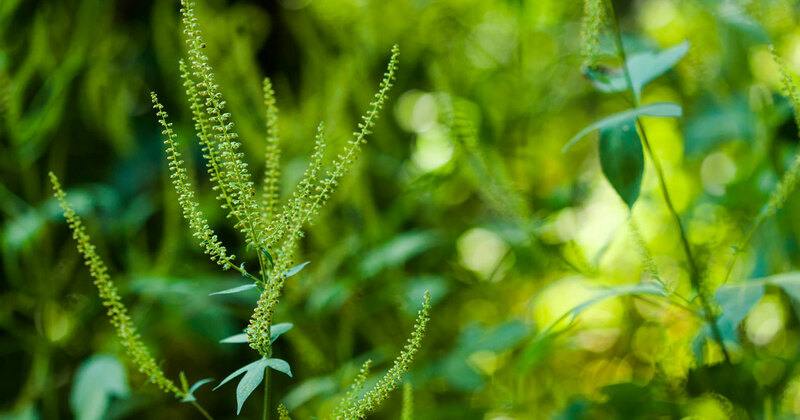 Heat waves during pollination time for corn and soy are also likely to decrease yields. The Great Plains is the largest region covered in the NCA. It spans an area from North Dakota to Texas and includes Wyoming and Montana. With so much land to cover, it’s perhaps not surprising that it shows a split personality in terms of the changes that have occurred and what’s expected. “The main thing we’re looking at is increased drought severity and heat waves in the Southern Plains and increased precipitation and warmer winters in the Northern Plains,” said Mark Shafer, a lead author of the report and head of the Southern Climate Impacts Planning Program. The divide between the northern and southern half of the region was on display in 2011 when an extensive drought dessicated the Southern Plains while floods were overtopping the banks of the Missouri River in the northern half of the region. The drought ended up costing the region $12 billion in agricultural losses while the floods did $2 billion in damage to crops and property. There are some signs the drought was influenced by climate change, but there was no similar connection with the floods. Still, the overall pattern is a snapshot of what the future could look like for the region, the report says. Hot and dry weather in the Southern Plains, in particular, is likely to create growing competition for water resources. More than 80 percent of the entire region’s land is devoted to agriculture, but energy production is also a major industry. Texas alone produces 16 percent of the nation’s energy, mostly from oil and gas. With the rise of fracking, which is a water intensive gas extraction process, water is likely to become a more precious commodity and put energy and agricultural needs into conflict. Population is also growing across the region, adding another layer of stress on water resources. Shafer said projecting the exact impacts on these industries, particularly agriculture, is challenging. The Southwest region includes the Four Corners states plus California and Nevada. According to the NCA, the temperature rise since the 1950s in the region is unprecedented in at least the past 600 years. And in the hottest and driest region of the country, that trend is likely to continue along with substantial drying in the southern half of the region. Much of the region’s precipitation falls as winter mountain snow. Every state in the region is projected to see a drop in snow water equivalent, or the amount of water held in snow. That’s not just due to a decrease in precipitation. Rising temperatures will also have an impact as will dust kicked up from dried out lowlands and deposited on mountain snow. That poses problems for the region’s agriculture industry as well as its natural ecosystems. The region grows more than half of the nation’s specialty crops such as strawberries, oranges, nuts, and avocados. Agriculture is primarily irrigation fed and accounts for nearly 80 percent of all water use in the region. Drier conditions will mean less water for those crops and lower yields. Adding stress to crops is a decrease in the frequency of winter chills. Though cold weather can kill plants in some instances, certain tree nuts and fruits need them as part of the growing cycle. 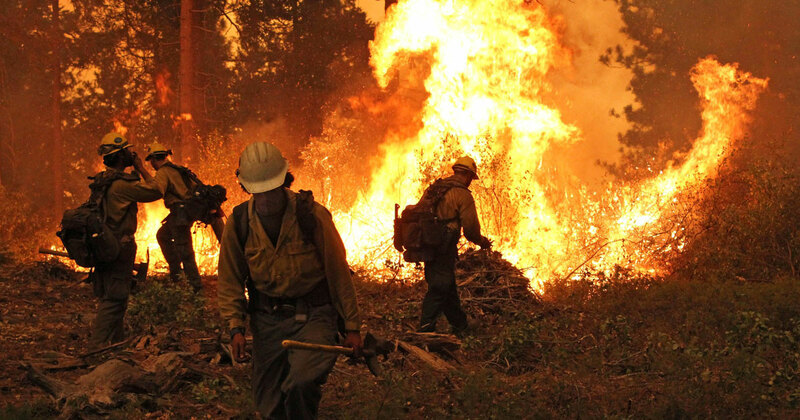 Increased warming and drier conditions have also driven a rise in wildfires in the Southwest, which is home to millions of acres of National Forests, National Parks, and other public lands. Between 1970-2003, warmer and drier conditions contributed to a 650 percent increase in the area of conifers burned annually. Warmer winters have also allowed pine bark beetles, a species that kills off pine trees, to survive and even thrive year round. The Northwest also faces likely decreases in mountain snowpack and shifts in streamflow. Similar to the Southwest, it receives much of its precipitation over the winter months and relies on spring snowpack runoff to fill reservoirs and turn turbines that account for 40 percent of all hydropower produced in the U.S.
Precipitation has generally increased in the region over the 20th century, but since 1950, snowpack has decreased by up to 30 percent and runoff has occurred up to 30 days earlier. That’s translated to heavier spring streamflows and decreases in the summer. The NCA projects that by 2050, snow is likely to melt 3-4 weeks sooner, further reducing summer flows. That would pit hydropower generation against ecosystem needs, particularly for migratory fish like salmon that are integral part of the region’s economy. Wildfires are also likely to burn further and wider in the future due to drier and hotter summers. The median area of forest burned annually is projected to quadruple by the 2080s compared to period of 1916-2007. While this sounds like dire news, it’s not the goal of the report to be a litany of bad news, according to Hayhoe. While reaching the lower emissions scenario might seem like an unattainable goal at times, Hayhoe said it serves as a reminder that if we do lower our emissions, we’ll be much more readily able to mitigate many of the risks climate change poses and that the higher emissions scenarios should act as a reminder of what's at stake if we don't act.